Share in Emily's search for true happiness with Delicious - Emily's True Love, a wonderfully romantic chapter in the amazing series! 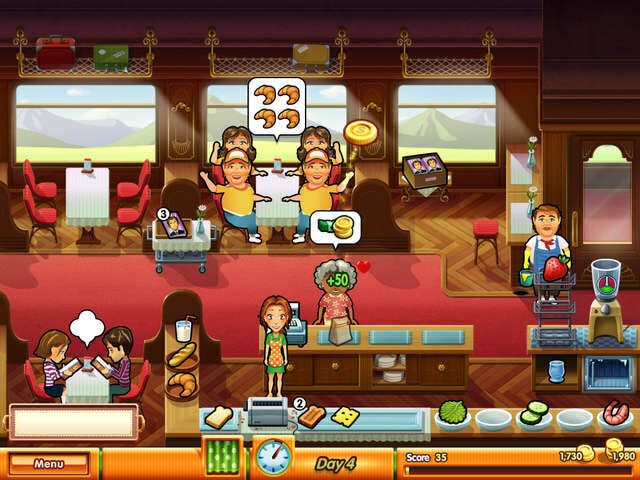 A year after Emily opens her own restaurant, business continues to boom though her personal life is completely non-existent. Shades of promise appear when she receives a rose, but she is too shy to act on it. Then one day an old love letter from a summer romance arrives that turns Emily's world upside down. Will she act upon either of these to find her true love. Follow Emily on this all-new romantic journey! Work your way through Emily's Place and all the way to Paris helping customers and learning more about the one that got away. Complete clever games, slink your way through awkward situations and meet fantastic new friends around the world. With exhilarating tasks, endearing surprises, rewarding trophies and fabulous upgrades, Delicious: Emily's True Love is destined to become your favorite! 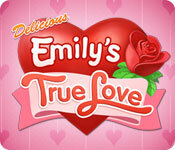 Delicious: Emily's True Love is rated 4.6 out of 5 by 31. Rated 5 out of 5 by RaNuit from Love It Another chapter in the life of Emily and her family. Keeps getting better with every game. Rated 5 out of 5 by Calliefornia from Another Great Chapter...!!! Another great chapter to a great game. I can't stop playing these they're soooo addicting!! Rated 5 out of 5 by Vkann from Delicious Emilys games Loved all the trials, but I could not keep up even on the Beginner level. My hands are slowing down on me. Could their be a relaxed mode made in these games, if their was I would really consider buying all of these games. Thank you to the Developers for thinking of doing this it would make a big difference. Rated 5 out of 5 by SMALLVILLE1 from Delicious Series I have bought all of the Delicious Series games. I am waiting for the rest of them. There are 6 more in this series that I will purchase as soon as they are available. The entire series story lines are wonderful. 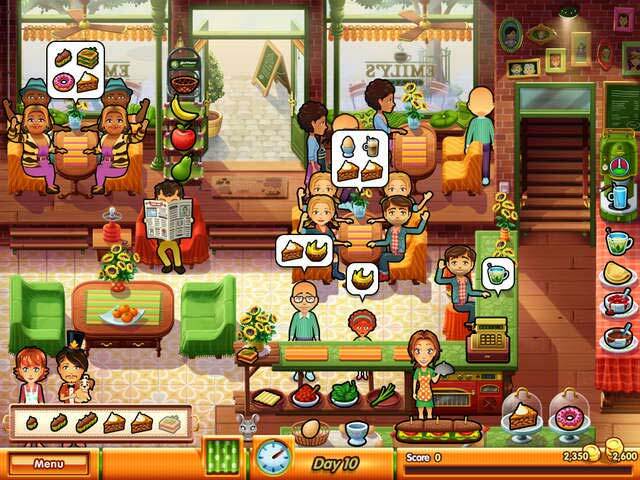 These time management games keep you entertained and moving quickly. I recommend this game to all in the family. Rated 5 out of 5 by memememe1 from Need more! The Delicious series is simply that, delicious! The characters & story-line are great. And it is just a darn fun game to play. Need more of them!! Rated 5 out of 5 by lininindy from Fun to play This is one of my favorite Emily games! Rated 5 out of 5 by StarFishFan from Delightfully Delicious! First off - This is the most engaging TM game series I've ever played! Cute artwork, an interesting storyline and endearing characters combine to provide hours of fun! If you haven't tried any of the Delicious games currently available on Big Fish, this is the one to start with! Then follow along through: Wonder Wedding, Honeymoon Cruise, New Beginnings and Home Sweet Home. Each game is just as good as the last! Every time I download a new one, I have to ration myself to keep from running through the entire thing non-stop - they're that good! 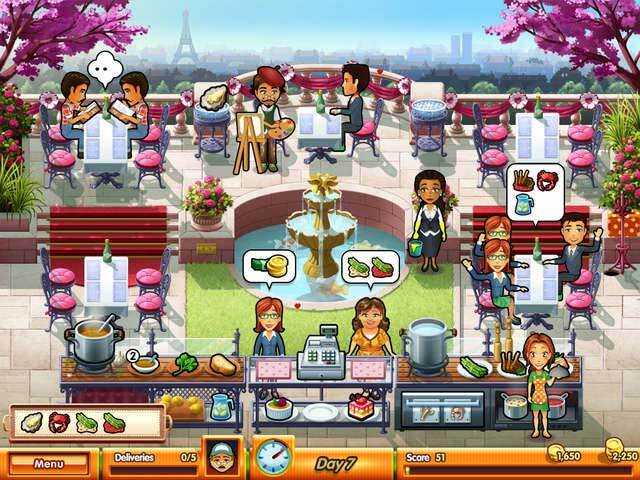 Rated 5 out of 5 by earthfairies from Love the Delicious Games This game is just another of my favorite Delicious Games. Keep them coming!!! Love love love them all. I purchase them as soon as they come out. Rated 5 out of 5 by violet922 from Hope Big Fish is planning to offer More Emily Games I have no idea how I got hooked on the Emily games, but I am. I have every one Big Fish has offered, and I HOPE we will get the rest of games left in the series! I am ready and waiting!